Marta Fran Kauffman was born on the 21st September 1956, in Philadelphia, Pennsylvania USA, and is a TV producer and writer, best known as a co-creator of the cult TV series “Friends” (1994-2004), together with David Crane. Kauffman was also an executive producer of “Related” (2005-2006), and writer of “Joey” (2004-2006). Thanks to her producing and mainly writing skills, Kauffman’s net worth has significantly increased. Her career started in 1987. Have you ever wondered how rich Marta Kauffman is, as of mid-2016? According to authoritative sources, it has been estimated that Marta Kauffman’s net worth is as high as $200 million, an amount earned through her successful career as a writer and producer. In addition to creating such popular series’, Kauffman has also worked as a director which has improved her wealth. Marta Kauffman was born into a Jewish family, a daughter of Dorothy and Herman Kauffman and grew up in the Philadelphia suburbs. She went to Marple Newtown High School – where she actually directed the school play “Our Town” in 1974 – and then studied at Brandeis University from where she graduated with a Bachelors degree in Theater in 1978, and where she met her friend and future collaborator, David Crane. Kauffman started her writing career when wrote an episode of comedy series “Everything’s Relative” in 1987. Her bigger project came in 1990 when she and David Crane created the series called “Dream On”, starring Brian Benben, Denny Dillon, and Wendie Malick. The show went on for six seasons until 1996, and won two Primetime Emmy Awards. It launched Kauffman and Crane out of anonymity, and they subsequently worked together on numerous projects. They created the comedy show “The Powers That Be” (1992-1993) with John Forsythe, Holland Taylor, and Eve Gordon, which aired for two seasons and 21 episodes in total. Kevin Bright joined Kauffman and Crane in making the “Family Album” in 1993, but the series lasted only six episodes and was cancelled due to low ratings. Kauffman and Crane did a TV movie called “Couples” (1994) before creating one of their most popular series in the ’90’s – “Friends”. “Friends”, with Jennifer Aniston, Courteney Cox, Lisa Kudrow, Matt LeBlanc, David Schwimmer, and Matthew Perry went on for ten seasons from 1994 to 2004, and received plenty of great critiques and rewards, including a Golden Globe, Six Emmy’s and a BAFTA Award. 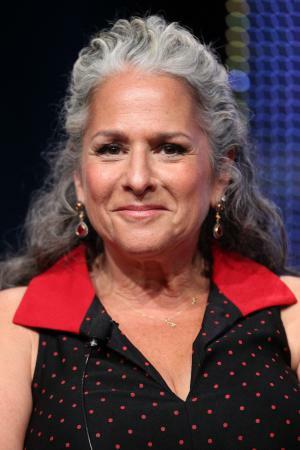 The show had 236 episodes overall and significantly increased Marta Kauffman’s net worth. Kauffman hasn’t been quite as successfuk since, but had other projects including “Veronica’s Closet” (1997-2000) starring Kirstie Alley, Kathy Najimy, Dan Cortese, Wallace Langham, and Daryl Mitchell. She was also an executive producer of 34 episodes of “Jesse” (1998-2000) starring Christina Applegate, and later the executive producer of “Related” (2005-2006), and the TV movie “Gifted” (2007), which also added to her net worth. In the meantime, she wrote the title character for the series “Joey” (2004-2006) starring Matt LeBlanc. Most recently, Kauffman was a creator of TV movie “Five” (2011) with Patricia Clarkson, Rosario Dawson, and Lyndsy Fonseca, produced the documentary “Hava Nagila: The Movie” (2012), wrote three episodes of “Georgia” (2012), produced “Call Me Crazy: A Five Film” (2013), and created the series “Grace and Frankie” (2015- ) starring Jane Fonda and Lily Tomlin, increasing further her net worth. Regarding her personal life, Marta Kauffman was married to Michael Skloff – composer of “Friends” theme song – from 1984 to 2015, and they have three children together.